Not a month goes by that I do not receive complimentary books in the mail from authors asking me to do book reviews. A larger-than-usual package from Bear Manor Media Publishing, however, brought about a pleasant surprise and if you are looking for something to get this holiday season, at least a couple of these books will be of interest. At the age of 61, Sydney Greenstreet made one of the most memorable debuts in classic cinema as the mysterious Kasper Gutman in The Maltese Falcon (1941), a personal favorite of mine. His performance earned him a Best Supporting Actor nomination at the Oscars. Born in England, Greenstreet enjoyed a 40-year stage career which encompassed everything from Shakespeare to musical comedy and some of the most acclaimed plays of the 1930s. Today he is best remembered for his roles in such classics as Casablanca (1941), Between Two Worlds (1944) and a number of movies in which he was teamed with horror screen icon Peter Lorre. 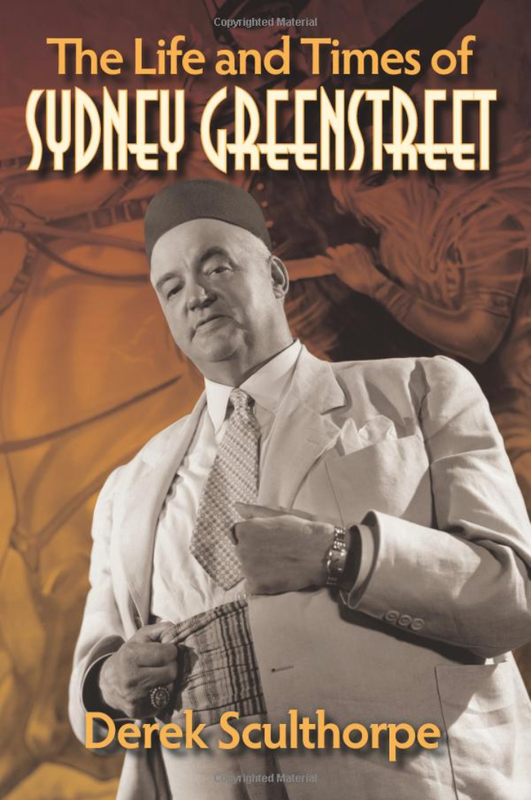 Until now there has not been a book about Greenstreet and Derek Sculthorpe clearly did his research and dug deep into the vaults, contacted family relatives and traveled the globe to find rare photographs and materials for this book. Often I have said that many biographies these days are hack jobs: authors who stack a pile of newspaper and magazine clippings in chronological order and compose a book, padding it with plot summaries from movies we can view today without the need of extensive summaries. Thankfully, Sculthorpe avoided that pitfall and we can thank him personally for assembling what will be a welcome addition to my bookshelf. Bill Cassara and Richard S. Greene assembled a 500-page biography about one of the most under-rated screen actors, today best known for playing the title role of Drums of Fu Manchu. He played supporting roles and various characters in more than 200 motion-pictures. You saw him stand shoulder to shoulder with John Wayne as Indian Chief Scar in The Searchers, as Barnaby in the Laurel and Hardy classic Babes in Toyland, and combat dinosaurs in The Land Unknown (1957). 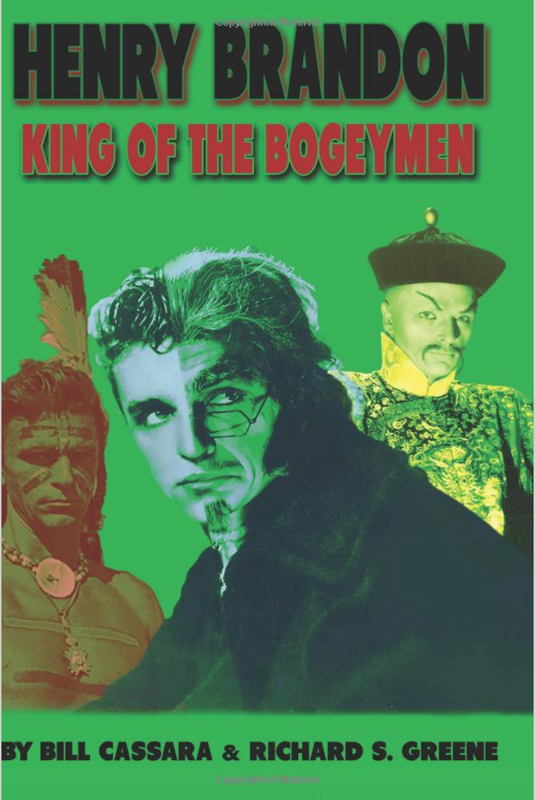 From his early stage work in the 1930s, his numerous appearances in cliffhanger serials, his appearance with Roy Rogers in Bad Man of Deadwood, the Tarzan films and his numerous television appearances, this book covers them all. A chapter documenting his convention appearances, including the Sons of the Desert conventions, are illustrated with photographs from club members. My only complaint is that there are a good number of pages devoted to plot summaries rather than behind-the-scenes trivia about his work on those films, but the fact that someone took time to write a book about Henry Brandon should be commended. James L. Neibaur adds yet another book to the growing pile of Charlie Chan reference guides. Every three or four years another book comes out but this one provides more common themes, critical assessments, discussion and critical review than the other books. There are recollections from actors, writers and directors who appeared in some of the movies, and production details such as dates of production and cast lists. 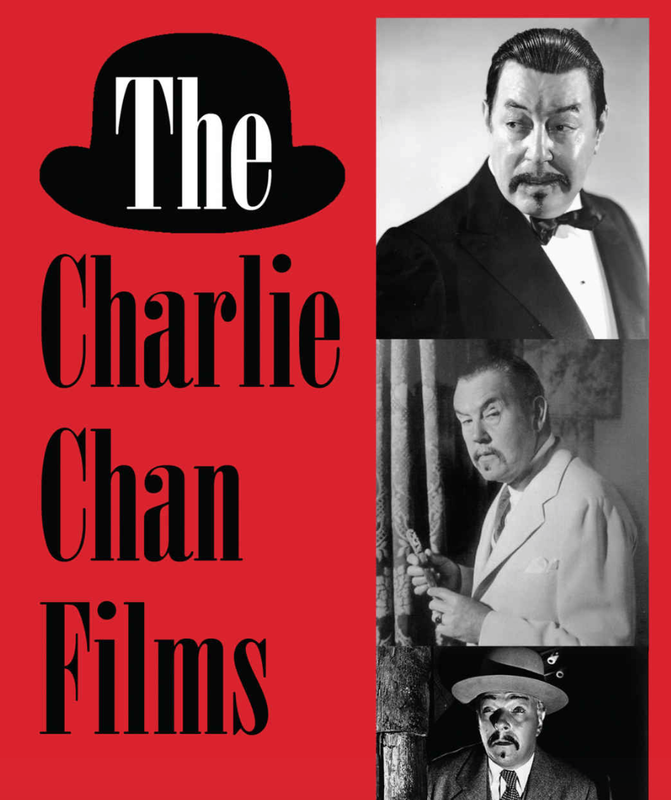 For the Charlie Chan fan who has to have them all... and longs for critical analysis and reviews of the movies, from the literary origins to the modern day controversies, this book verifies that Charlie Chan movies continue to resonate as late as the 21st century. Pioneering make-up artist Dottie Ponedel gave celebrities such as Marlene Dietrich, Carole Lombard, Paulette Goddard, Joan Blondell, Judy Garland and Barabra Stanwyck the faces that made them famous. She rode to the top of her field in classic Hollywood but had to fight to stay there since the make-up departments at Hollywood studios were all run by men. The Make-Up Artists Union was finally forced to let her in because the biggest names in Hollywood refused to let anyone else make them up. "No stranger is going to pat this puss," Mae West once declared. 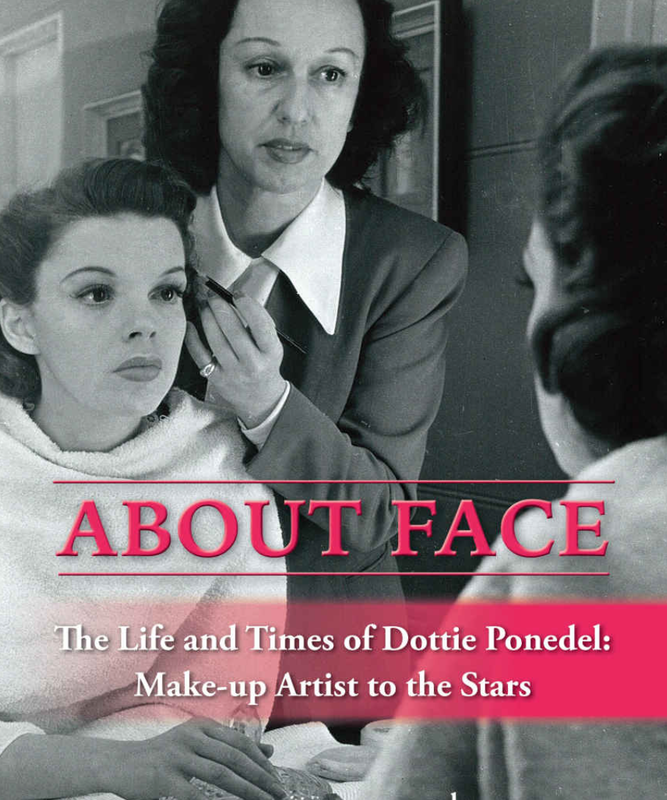 This book is her memoir and while some might question whether a book about a female make-up artist warrants reading, let me remind you that it is she who tells the stories about our favorite stars. At a mere 177 pages, this is a quick read. But these are the type of books that are worth a couple hours of your time. 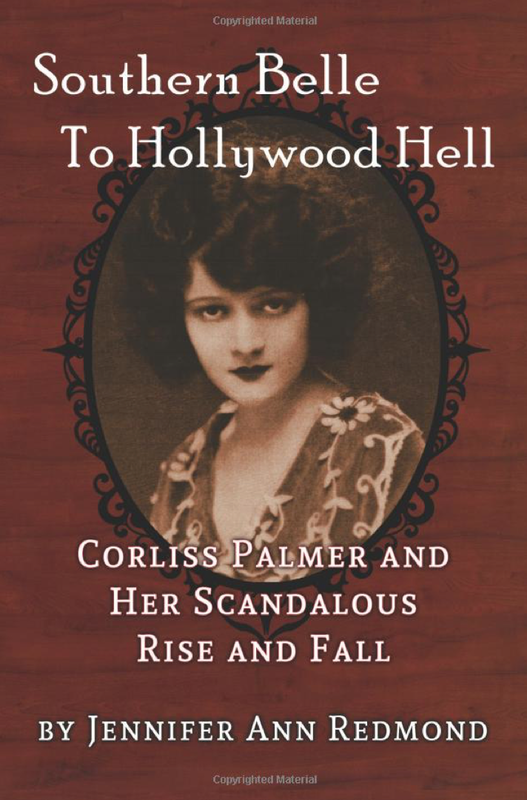 Jennifer Ann Redmond provided us with a fascinating book that warrants reading for anyone longing to learn more about Corliss Palmer and her scandalous rise and fall. 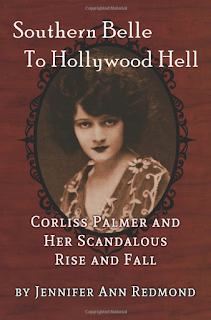 After winning the Fame and Fortune contest of 1920, Corliss Palmer became a movie star. But, after you read this well-researched book, it was the worst thing that ever happened to her. Who is Corliss Palmer, you might ask? She was a silent screen actress deemed "the most beautiful girl in America" and starred in a total of 16 motion-pictures. Three of her films are considered "lost" today, adding mystique to the legend and lure of Palmer. After ending her acting career in 1931, she continued to model cosmetics as well as fashions for a local department store. She divorced, turned to alcohol and spent many years in a psychiatric institution. A sad story indeed, but we need more of these books to help cement her immortality and more importantly, verify the adage that everyone went west in the hopes of striking it rich and famous... most never succeeded -- a true tragic Hollywood story. This book also features over 70 photographs, many never-before-seen from the Palmer family scrapbook, illustrating the tale of obsession, glamor and why we should always be careful what we wish for. Recommended. Amazing that the Charlie Chan movies continue to resonate in the current day, especially considering how Asian-Americans of younger generations regard him in a negative light.